One hour herbal walk & lecture on DVD. 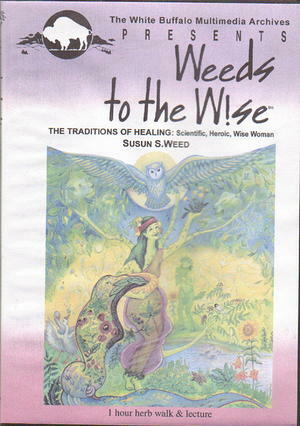 The Wise Woman Tradition is ancient and intimately connected to the natural cycles of the plants, the earth, the moon, and our bodies. Wise Women support the body's natural healing processes through the gifts of common herbs, development of compassionate intuition, the ability to listen to one's inner voice, and simple rituals that empower each person's path of healing. The world's oldest tradition of healing offers us new ideas and options. Listening to the inner Wise Woman, men as well as women can find nourishing ways to wholeness, using the manifested gifts of "problems" and "sickness." This unique tradition will be differentiated from the more common, highly visible scientific tradition of "fixing" and the "heroic" (mistakenly called "holistic") tradition of cleansing.